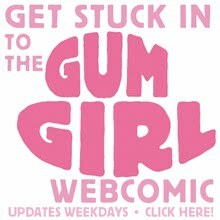 Tomorrow make sure you begin your daily dose of the Gum Girl Webcomic! Subscribe now for regular feeds! 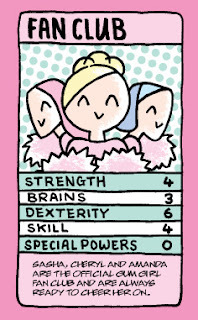 Plus, we've just posted a new Collectors' Card - check out the Gum Girl Fan Club! New Collectors' Card: Radish Centurion! New Character added: Caesar Salad!